A few months ago I had the opportunity to photograph Alex and Christina's engagement at Tunnel Springs in the most gorgeous fog (take a look here!) 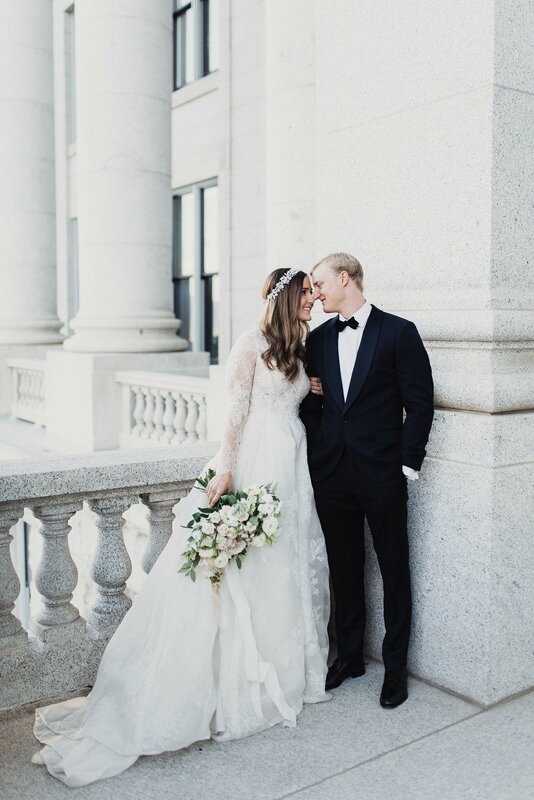 and I was so excited to photograph their first look and bridals at the Utah State Capitol! 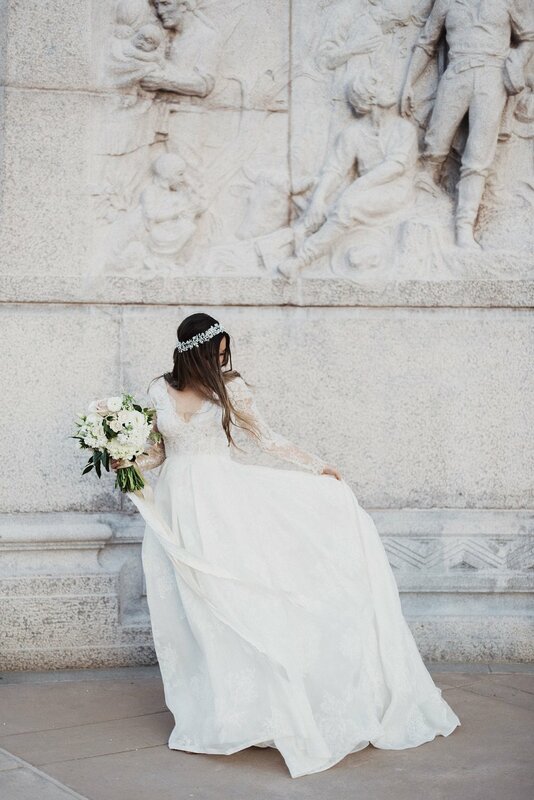 Christina's bridal styling choices were absolute perfection- royal wedding anyone? 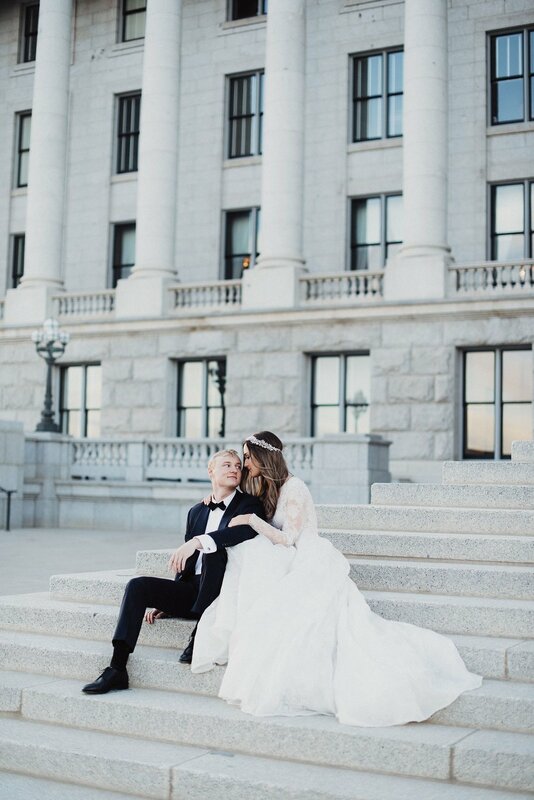 Her lace sleeved ballgown was amazing against the classic backdrop of the Capitol. And the all white bouquet with details of blush completed the look perfectly! 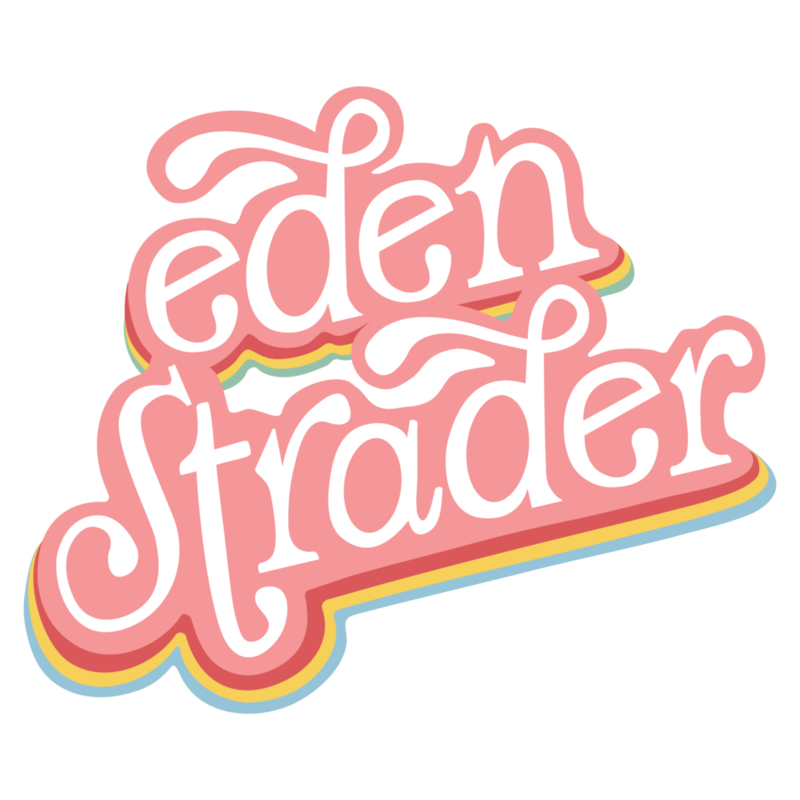 Hope you love these as much as I do! 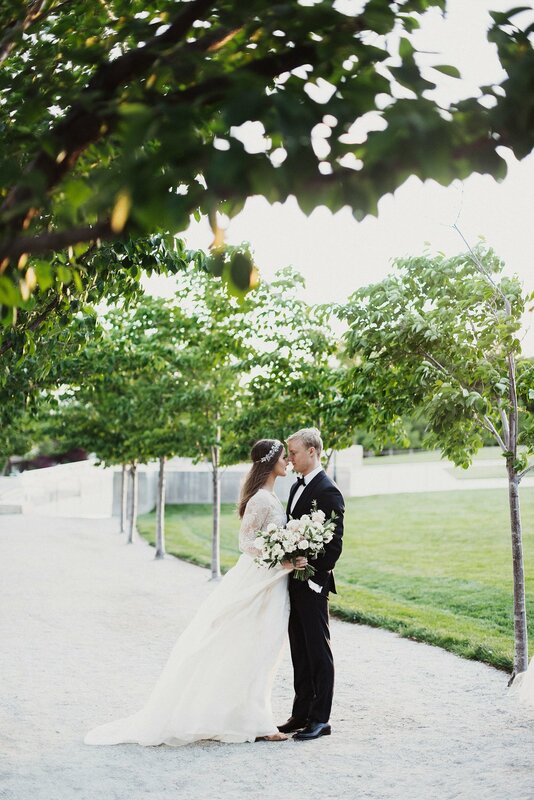 Looking for a classic yet modern take for your bridal session? I'm your girl. Let's get planning!